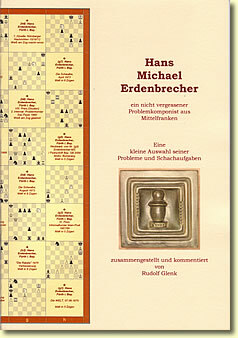 Hans Michael Erdenbrecher composed mainly three- and moremovers. In 2005 (2007 2nd edition) was published "Hans Michael Erdenbrecher: Ein Nicht Vergessener Problemkomponist Aus Mittlefranken : Eine Kleine Auswahl Seiner Probleme und Schachaufgaben," a 24-page compilation by Rudolf Glenk. Echo manoeuvres by the wQ. 3 changed mates on three different selfblocks on the same square (Stocchi). In this miniature fourmover, all black moves are forced. Double white Indian on the long diagonal, reciprocal 1st and 2nd black moves (Sf5/Bf4), line openings. Fritz Loepert published his chess problems in his only book, "Mate 1982" in 1982. Some of them certainly deserve to be quoted more often. A short biography (in Portuguese) can be found on the website of the Brazilian Problemists (webmaster: Leo Mano). The white Queen visits the 4 corners by a beautiful roundtrip. Loepert's favourite stipulation was selfmate. How can this position be reached again with Black to play? Another Rundlauf, this time by the white Rook. 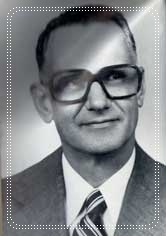 Wolfgang Unzicker, although he seems not to have composed any endgame study, was nonetheless granted the title of International Judge for endgame studies in 1958. Did he compose any study? František Richter composed studies and problems (direct mates, selfmates). His style in studies can remind that of Jindrich Fritz. His obituary was published in Šachové umění, November 1971.